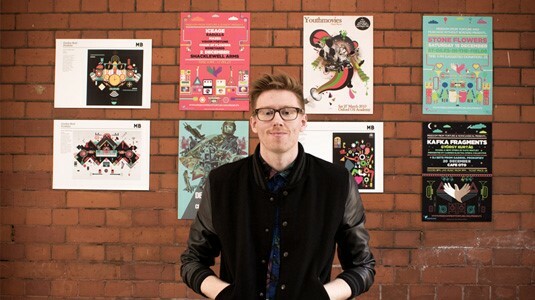 Some big design agencies are exploiting designers, says Gordon Reid, aka Middle Boop. Some big design agencies are taking the mickey, argues Gordon Reid For lot of budding illustrators or designers, I guess the top prize is that of getting those big agency jobs-the sort that get you those top brand pieces to be proudly displayed on your website for all the world to see. Those jobs that should not only get you great coverage but also pay well enough for you to be able to pay your rent for long enough not to have to move back to your mum's house in a hurry. At least, that's what I always thought. In this article I thought I would share a few examples of situations myself and other artists have had over the past year or two, and hopefully showcase a few warning signs that other creatives may be able to take something from and learn that just because you're contacted by a big brand, it doesn't mean you have to break your back for free for the privilege. The truth is, as you gaze upon another creative's site with envious eyes at beautifully illustrated campaigns for a big beer brand or clothing label, that half of this work is not the result of the mega bucks jobs you assume they would be. Quite a few won't even be paid at all. Possibly not even used. It happens all too often that a creative's time and artwork is used in pitch stages – even with the promise of it going to a final piece – and then someone down the line will veto it. Unless there's already a solid contract in place, that time could be all but wasted and that money you were promised, non-existent. When I was starting out about five years ago, fresh faced and naïve to the business end of the job, I tried to learn from each job to the next and did a lot of work for free, as every creative will have to do to persue their dream career. It was mostly work for record labels, exhibitions etc. I also did work for next to no money as well. Editorials, PR campaigns, that sort of thing. But if there was one thing you could usually rely on with this work was that it would actually get used and the client would give you enough free reign to make a piece you were proud of and could stick in your portfolio in a hope for bigger and better things. Never in a million years did I think that there would be so many agencies and massive brands wanting artists to do a lot of work for free without any guarantee that the work would go anywhere. I mean, if the agencies want things for free then how does anyone pay the rent in this industry? It has always been common practice for the desirable brands to underpay as there will always be so much competition, but for free and the possibility of nothing in return? For instance, the other day an established illustrator friend of mine was asked by a large sneaker brand to create a piece as part of a PR campaign. Their payment? A pair of sneakers. All too often I get contacted by people stating "there's no money in this one, but if you do this job you can get your foot in the door and you'll be first in line for more work". "Just do this for me and I'll definitely make it worth your while in the future".Or,"if you could just put together a presentation of your ideas for a pitch. You will be pitching against five other agencies and no, you can't charge for the time you spent on the pitch." These just a few sentences make my skin crawl. If this sort of thing ever crops up, my advice is to run a mile. Even when you get a proper commission, do always make sure there are agreements and contracts in place before starting work as this sort of thing can catch anyone out from time to time. For instance, I recently been commissioned by one of the bigger agencies to work on an illustration for a relatively cool brand. I had worked with these people loads before, so even though it was unpaid I thought I would take the risk, as I trusted them. Turns out, without telling me they were actually getting a number of illustrators to pitch for the work rather than giving me the commission as I was told – meaning they were extremely dishonest, not just to me, but a number of creative. Lesson learned. I think so. This sort of disregard for hard work and talent needs to be eradicated in our industry. Creative in whatever field need to be treated with more respect and paid accordingly. I mean you would not nip into Subway and offer to promote the sandwich on Instagram in exchange for the meal would you? Maybe I am missing a trick there. Illustrator and designer Gordon Reid, aka Middle Boop, has built an impressive portfolio including recognizable infographics, branding, web design, editorial illustration, and large scale advertising campaigns. Clients includes BBC, Red Bull, Bombay Bicycle Club, Starbucks and American Express.